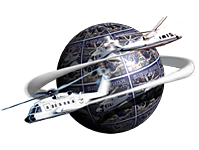 In 2005 Sikorsky Aircraft announced it's plans to build and test a demonstrator for a new class of coaxial X2 Technology helicopters that maintain or improve on all the vertical flight capabilities of rotorcraft and whose high speed configuration will cruise at 250 knots. The X2 Technology demonstrator completed it's maiden flight from Sikorsky's Schweizer Aircraft subsidiary at Horseheads, New York in August 2008 and in September 2010 it was successfully flown at a speed of 250 knots in level flight. X2 Technology refers to a suite of technologies Sikorsky will apply to achieve new levels of speed and performance in coaxial helicopters. The X2 demonstrator features a coaxial design (two rotors on the same axis) and a 'pusher prop' to supply auxiliary propulsion that enables the aircraft to reach high speeds of 250 knots per hour. "We initiated X2 Technology convinced that the most productive and flexible helicopter is a helicopter which is capable of a significant increase in speed," said Sikorsky President Stephen Finger. "Customers are demanding greater speed but without sacrificing any of the unique capabilities that make helicopters the ideal platform for countless civil and military missions." X2 Technology aircraft will hover, land vertically, maneuver at low speeds, and transition seamlessly from hover to forward flight like a helicopter. In a high speed configuration, one or more 'pusher props' are part of an integrated auxiliary propulsion system to enable high speed with no need to physically reconfigure the aircraft in flight. The top cruise speed of helicopters in service today, roughly 150 to 170 knots, are only incrementally better than what they were decades ago due to the fundamental limits of conventional rotor systems. 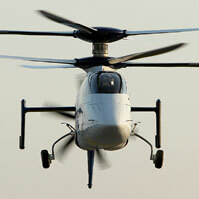 Previous attempts to develop faster helicopters have resulted in degraded hover performance. Likewise, attempts at fixed wing or hybrid vertical lift aircraft have resulted in aircraft with less hover capability than helicopters. Sikorsky selected the term X2 Technology in order to: describe a class of helicopters with a coaxial design and to describe the multiplying effects (2X, or times 2) of applying a suite of modern technologies to coaxial helicopters. These technologies include new rotor blade designs, advanced flight control laws, transmissions with greater horsepower to weight performance and the ability to seamlessly transfer power from the main rotor to the aft propulser, and active vibration control. 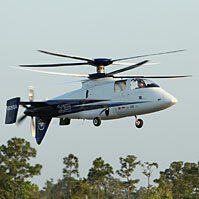 Sikorsky has incorporated decades of company research and development into X2 Technology helicopters, including: the XH-59A Advancing Blade Concept Demonstrator which showed high speed was possible with a coaxial helicopter and auxiliary propulsion, the Cypher UAV which expanded company knowledge of the unique aspects of flight control laws in a fly by wire aircraft that employed coaxial rotors and the RAH-66 COMANCHE, which developed expertise in composite rotors and advanced transmission design.